Instagram is today’s popular hangout. It’s no longer only younguns posting vintage-filtered pictures of their desserts. 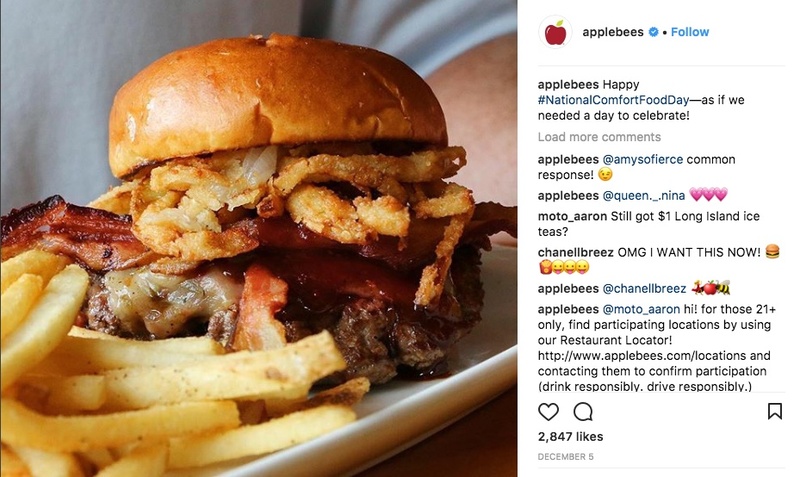 Businesses have arrived, and they’re utilizing image-centric content marketing to draw in new customers while nurturing a loyal following. And it’s crowded. Just being on Instagram won’t win you any followers. So how can you make sure your business rises above the noise and takes the Instagram scene by storm? First of all, make sure you have converted your account to an Instagram Business Account, so you can access analytics and include call-to-action buttons. Then take a look at these 12 steps to getting noticed. This is rule #1 for cultivating a following. You have to show that your business is here to stay, and you’re committed to your InstaAudience. Some businesses post daily, with time-sensitive offers, new pictures, infographics, peeks behind the scenes, visual product info, etc. This may seem overwhelming at first, but you need to be in front of your audience’s eyes consistently. If daily is too often, start with twice a week and work up. With Instagram, it’s both quality and quantity. Once you make the commitment to post consistently, make sure each post is useful and enticing to your audience. Give them something to look forward to with each of your posts, whether it’s how-to tips, insider info, special offers, contests, quizzes, or just dazzling images that are fun to see. And plan ahead—include your Instagram posts in your editorial calendar and streamline your cross-posting. This may seem like a given, but it’s worth reiterating. The vibrancy of your photos is part of what makes you stand out or get passed by. Make sure the subject of the image is in clear focus and the background isn’t too busy. It may help to go into Photo Editor in Preview and Enhance the colors and lines by adjusting contrast and sharpness. Hashtags are key to showing up in searches so you can gain new followers and keep your existing followers engaged. For example, if you sell bright purple socks, you want to frequently use hashtags like #funsocks, #rockyoursocksoff, #giftideas, etc. Think about what people might be searching for (as long as it truly relates to your product) and use those hashtags. It’s social media’s version of keyword research. 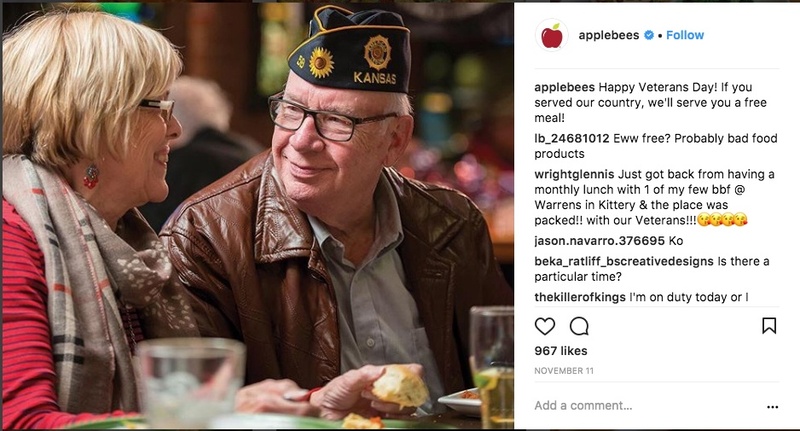 The post below, however, though it features a wonderful, touching picture, misses a big opportunity by not participating in a #VeteransDay or #freemeal hashtag. Don’t skimp on your Instagram bio! Here is where you concisely say what your business does, why this matters to your customers, and a tagline if it fits. Make sure to include a live link to your company’s website, along with a call to action to come on over and visit. 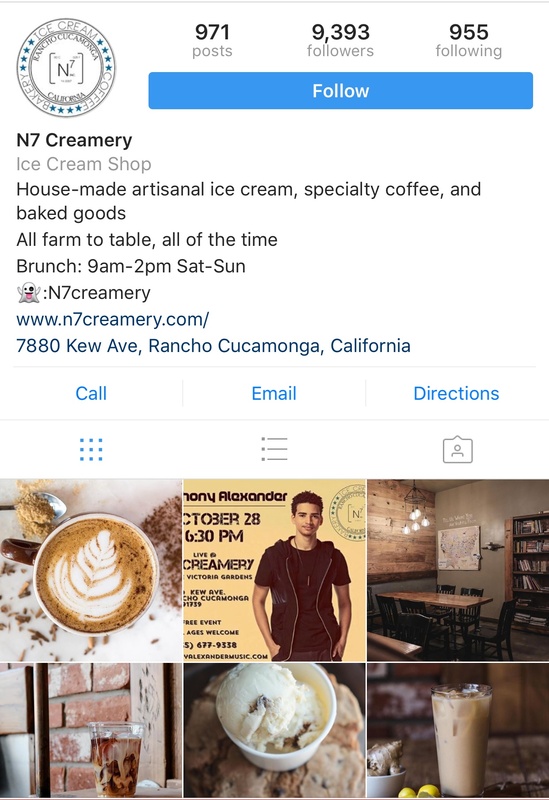 While this ice cream and coffee shop’s bio could use a punctuation tune-up and some trimming, notice how the information is straightforward while using market terms that are frequently searched. With each post, make sure you give your followers something to do! Whether it’s to read more on your blog, check out the features of a new product, share with a friend, participate in a survey or vote on a picture. 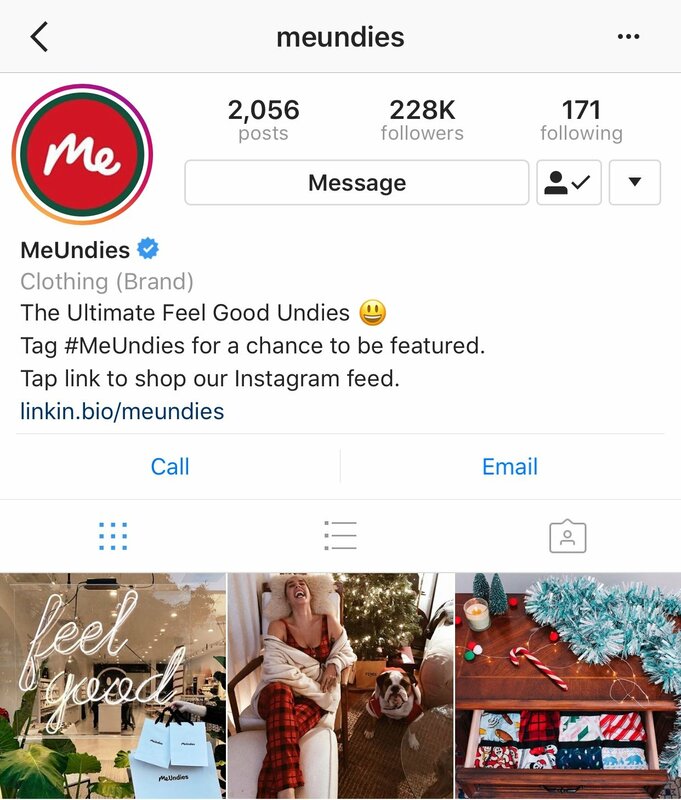 The brand MeUndies uses multiple calls to action right in their company bio -- tag to be featured, and tap to shop, in addition to the buttons for messaging, click-to-call, and send an email. You have to test and measure if you’re going to find that “sweet spot” that works for your audience. What’s more, that sweet spot will morph over time. Stay up on your Instagram analytics or Insights. Which posts get the most activity? Did it have to do with the type of content or the timing? Did the well-performing posts ask a question or have a certain kind of call to action? You can also find out when your followers are online, which helps you determine which day of the week or even time of day is best to post. Some businesses have been using automated comments or blanket-posting the same type of comment on hundreds of different profiles in order to gain quick exposure. Users see right through this. Don’t do it. The whole point of social media is to be real, approachable, and interactive. Post with intention, comment conversationally, and respond with sincerity. Even if you post simple videos such as a 360-degree pan around a product, or a product designer introducing a new feature, or a silly behind-the-scenes glimpse of your holiday party, it increases engagement. 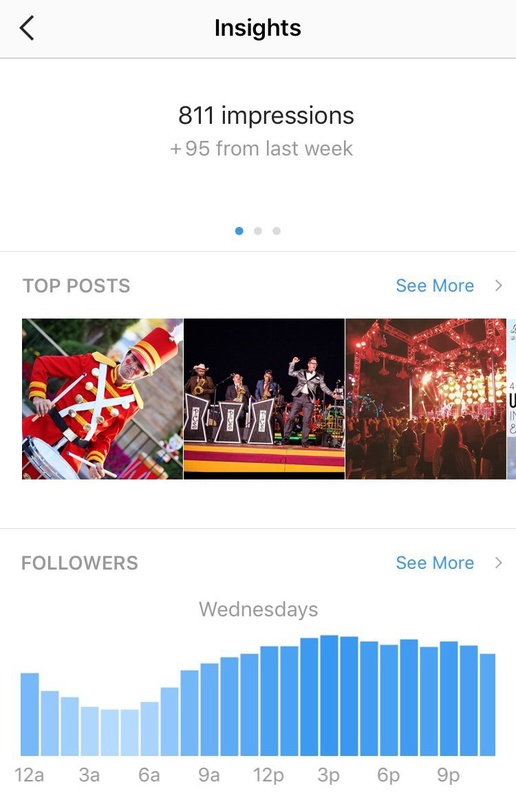 It’s also a great way to start using Instagram Stories to boost exposure in your follower’s feeds since Stories show along the top. To increase your own following, follow others. Even your competitors. Keep up with your feed, noting chances to leave comments, ask questions, or answer questions on other posts to demonstrate your expertise and authority. This often results in more follows, as those involved in the conversation want to hear more from you. On your own account, make sure to respond to as many comments as possible—especially if they are asking for a response! Yes, this takes time. But this is crucial to maintaining a down-to-earth, relevant vibe that makes your audience feel connected to you. Start by following others. Comment meaningfully. Follow only enough that you can truly keep up with. Chances are that when you leave comments, the profile owner will follow you back. Use the hashtag search to find the kind of profiles you want to follow. And with your followers! Talk to them, thank them for their responses and answer questions. Ask questions even! Like what is it you….. If you’re on Facebook and Twitter, you can use the same announcement, offer, or call to action on Instagram, and vice-versa. However—make sure to adjust the language, length, and visuals to the tone of Instagram! You know your followers on each channel, so adjust the wording to match their collective personality. But keep in mind, not every post is worthy of cross-posting. While your Facebook audience might be interested in one of your offers, a different type of discount or product highlight might make a bigger splash on Instagram. Especially if you’re new to Instagram, it can pay off to invest in some advertising to promote your posts or your profile or however it works. Instagram Ads lets you create sponsored posts that show up prominently is your target group’s feeds. Picture ads or video ads can help you promo a new service, ask for votes in what color your new line of socks should be, or just announce that you’re here, and you sell spectacular gifts for people who are hard to buy for. You can start with a small budget and test results, or go big with a broad-scale push. Instagram’s Ads Manager and Power Editor can help you get started. This may feel like a lot to keep in mind, which is why social media engagement is not just an add-on to your marketing strategy—it’s a commitment, and one that reaps big results. Back in the day, businesses fought to get into the malls because that’s where the kids hung out. Instagram is today’s mall hangout. And if you put in the time to engage with the right audience, you can become the talk of the virtual town. Social media management is a big job. Want to make sure you’re consistently putting your best foot forward, keeping up with analytics and creating profitable PPC ad campaigns? Contact i7 Marketing at 844-777-7794 for a quote! 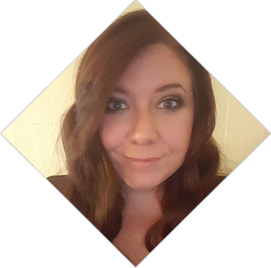 Michelle spends most of her time discovering opportunities with Google Analytics and helping companies reach their customers via social media. Her attention to detail has also made her indispensable in her Quality Assurance role. In her spare time, Michelle likes to watch college football games, try new recipes, and scrapbook.